A New Kind of Nuclear War; The Pentagon pushes for fission for fighting, POGO,BY MARK THOMPSON 19 Apr19 “…… the Pentagon wants to build flyable and truckable nuclear-power plants to generate the power U.S. troops need to wage war deep in hostile territory.The concept of micro-nuclear power plants on the battlefield is both inspired and insane. The idea of landing portable nuclear reactors inside a war zone is as outlandish—economically and environmentally—as it sounds. Beyond that, the Pentagon’s nuclear advocates argue that battlefield nuclear reactors would improve the environment and help jump-start the nuclear-reactor business, creating thousands of well-paying jobs in the process. That meshes with the U.S. nuclear industry’s push to peddle more civilian reactors abroad, including a meeting with President Trump in February. “He really wanted to hear from us on what our views are on how we win the global nuclear energy technology race,” said J. Clay Sell, head of Maryland-based X-energy, an advanced nuclear-reactor company seeking business in Jordan. …. it should come as no surprise that the nuclear industry is pulling out all the stops as it sees climate-change concerns giving it a second lease on life, even as renewable energy (wind, solar, hydroelectric) is now producing more power in the United States. The NEI spends about $2 million annually seeking favors from the federal government. Conveniently, the Trump Administration is seeking to bail out the nuclear industry. The Pentagon has had a long-standing romance with nuclear power, dating back to Hiroshima and Nagasaki……. the Pentagon is trying to build support for the plan by noting that mini-nukes have heart-warming peaceful uses, too. “A small mobile nuclear reactor would enable a more rapid response during Humanitarian Assistance and Disaster Relief (HADR) operations,” it said earlier this year in a “request for information” seeking outside help to develop portable atomic reactors for war zones……. The Pentagon wants a reactor capable of generating between 1 and 10 megawatts (enough for a base housing at least 1,000 troops for three years without refueling. Weighing no more than 40 tons, it must be “sized for transportability by truck, ship, and C-17 aircraft.” And to avoid the problems posed by water-cooled reactors, it needs to be cooled by “ambient air,” just like the original VW Beetle and its distinctive putt-putt engine…….. The unit will be “semiautonomous—Not requiring manned control by operators to ensure safe operation,” the Pentagon says. Starting it up should take less than three days, and shutting it down should take no more than a week. Their basic design is as simple as nuclear power gets: as the reactor fuel decays, it generates heat that is then turned into electricity. The Pentagon plans on funding up to three designs before tapping a winner from among them. 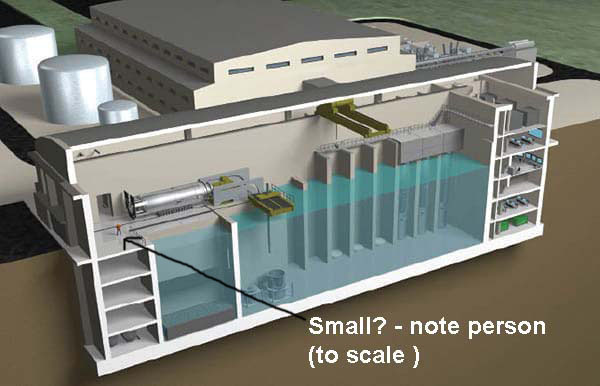 Other nations—Canada, China, and the United Kingdom—are also exploring such small reactors……. Harnessing nuclear power on the battlefield would require changes in U.S. military training, nuclear regulation and licensing, as well as convincing foreign governments to let them on their soil. ……..
By Irina Slav – Apr 18, 2019, The predictive powers of artificial intelligence could help scientists bring nuclear fusion closer to actually working, researchers from Princeton and Harvard working with the Department of Energy hope.The team, working at the DoE’s Princeton Plasma Physics Laboratory, says they have applied deep learning techniques to computers in order to be able to forecast sudden outages in the reactors used for nuclear fusion that can halt the energy-generating reaction. The implications of a success here could be major: nuclear fusion can theoretically supply emissions-free electric power indefinitely. However, making the leap from theoretical to practical has proved challenging. Nuclear fusion, unlike fission, which is what takes place in traditional reactors, involves smashing particles together and turning them into plasma to generate energy. This takes place in what is called a magnetic fusion machine, or a tokamak. The tokamak produces magnetic fields that keep the superhot plasma inside and keep it moving—and hot—but controlling it for ever-longer periods of time and making it move faster to produce more energy has been a challenge. Many believe we will never be able to make nuclear fusion happen, but researchers are not giving up. Computer technology is a natural ally to scientists in this quest for infinite clean power, but the presence of data to feed into the computers has proved crucial. 15 April 2019 The debate on Small Modular Reactors continues to warm up. The IAEA recently updated its webpages on the issue. SMRs are currently promoted by parts of the nuclear industry as an answer to the decrease of interest in normal gigawatt (GW)-scale reactors because of economic and technical realities. NTW member Dr. David Lowry intervened on the issue on behalf of Nuclear Transparency Watch during the European Nuclear Energy Forum (ENEF) in Bratislava, June 2018, where he addressed, what he called, some “inconvenient truths” about these smaller reactors. Last month he published on his blog site an overview of articles that illustrate how the issue is currently discussed in the UK, with the responsible energy minister, earlier accused of “crushing” small reactors, first praising SMRs, then renaming them ANTs (advanced nuclear technologies), and then resigning over Brexit.Just before his resignation, energy minister Richard Harrington announced a further £7 million of funding to regulators to build the capability and capacity needed to assess and licence small reactor designs, and up to £44 million pounds in R&D funding to support Generation IV advanced reactors. This came on top of earlier promised £460 million in the UK government’s Clean Growth Strategy to support work in areas including future nuclear fuels, new nuclear manufacturing techniques, recycling and reprocessing, and advanced reactor design, £8 million on modern safety and security methodologies and advanced fuel studies, and £5 million on materials and manufacturing as part of a Small Business Research Initiative. The US Department of Energy estimates the nuclear versatile test reactor (VTR) research programme could cost between £3.9bn and $6bn, potentially 40% more than the original $3.5bn estimate given by Idaho National Laboratory head Kemal Pasamehmetoglu. The new estimate comes via a freedom of information request placed by the non-governmental organisation (NGO) Union of Concerned Scientists (UCS). The VTR was originally announced by Energy Secretary Rick Perry in February 2018 as part of the Trump administration’s policy to revitalise the US nuclear industry. The facility is expected to be built by 2025 and would be the first nuclear test reactor built by the Department of Energy (DOE) for decades. It would be the first of a number of fast reactors, which breed their own fuel and increase the amount of energy produced from uranium compared with light water reactors. Research for the VTR will be led by Idaho National Laboratory, with General Electric (GE) and Hitachi forming a partnership called GE Hitachi Nuclear to provide support for design and safety of the plant. UCS also estimate that the VTR would cost between $550-$850m per year for the next seven years compared to the $740m in the 2019 budget for the DOE’s entire nuclear technology development, $65m of which was allocated to VTR. UCS senior scientist Ed Lyman said: “UCS received documents from a Freedom of Information Act request that contained the DOE’s current “rough order-of-magnitude” cost estimate for the Versatile Test Reactor project of US $3.9-6.0 billion. “These values assume different cost escalation factors over a roughly seven-year period. I estimate the corresponding unescalated cost to be as much as $5 billion. The reactor isn’t really “over budget” yet, because there was no official cost estimate prior to this. “UCS has many concerns about this project. First, we don’t generally support the development of fast reactors because of their proliferation and nuclear terrorism risks, so we question the rationale for building this facility. Second, we believe this reactor will not be a reliable test reactor because the design is experimental. Third, there are much cheaper options that the DOE has not adequately explored to provide a source of fast neutrons to reactor developers. The DOE has also been approached for comment. 2020. It is intended for the Takahama power plant , operated by Kansai Electric in Fukui province. The previous shipment dates from 2017. There are 32 nuclear assemblies that should sail to Japan. The amount of plutonium contained in these fuels is one tonne. KEPCo will have yet to repatriate 10 tons of plutonium in the form of MOx fuel to clear its stock. And Japan must also drastically reduce its stock in order to hope to start its reprocessing plant in Rokkashô mura, which is already 24 years behind schedule . However, only four reactors currently operate with MOx in Japan: Takahama 3 and 4, Genkai-3 and Ikata-3 ( see the state of the Japanese nuclear fleet ). The bill also directs the federal government to make available some “high-assay low-enriched uranium” for research and testing in advanced reactors. Traditional light-water reactors use low-enriched uranium in which the active U-235 isotope constitutes 3 to 5 percent of the nuclear fuel, according to the World Nuclear Association. High-assay low-enriched uranium, on the other hand, pushes enrichment levels to about 7 percent of the fuel and, in some cases, can go as high as 20 percent. Finally, the bill directs the DOE to create “a university nuclear leadership program” to train the next generation of nuclear engineers. 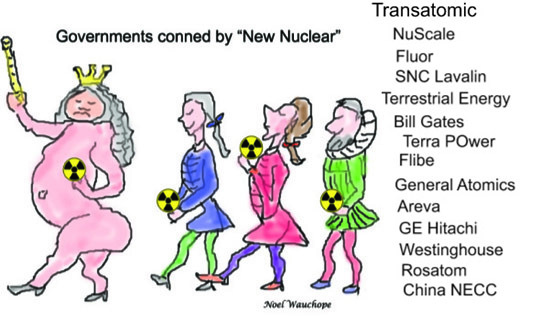 American nuclear lobby keen to market new nuclear reactors to overseas, to anyone! Russian and Chinese companies are aggressively pursuing nuclear energy export deals and building more reactors overseas than U.S. firms. The Trump administration aims to disrupt that progress by expanding early stage cooperation with countries interested in adopting nuclear energy. new initiative aims to make the U.S. the global leader in advanced nuclear reactors poised to hit the market in the coming years.The Trump administration is preparing a new push to help American companies compete in the race to build the next generation of nuclear power plants around the world — a competition the U.S. is currently losing. In doing so, the administration also aims to push back on the growing dominance of Russia and China in the space, preventing them from expanding their international influence by forging long-lasting nuclear ties with foreign powers. We still lead the world in nuclear technology innovation. Our big challenge is taking that incredible IP and those incredible technological innovative breakthroughs and bringing them to market. To be sure, the Energy and Commerce departments actively facilitate U.S. nuclear cooperation with their foreign counterparts. But the State Department now intends to push the issue in talks at the highest levels of government, making it clear that Washington believes cooperation in the nuclear realm is central to its strategic relationships……. The U.S. dominated nuclear energy exports decades ago, but faces stiff competition today, including from allies like France and South Korea. But it’s the growing dominance of adversaries in Beijing and Moscow that worries the Trump administration and nonproliferation experts……..
Russia is also changing the rules of the game by offering generous financing that makes nuclear energy affordable to more nations. Moscow is targeting non-nuclear states in the Middle East and Africa with a model to build, own and operate the plants. The State Department intends to actively dissuade its partners from working with China and Russia, according to Christopher Ford, assistant secretary for international security and nonproliferation. During the address, Ford outlined State’s plan to help American companies compete with Chinese and Russian firms. The department will more closely coordinate nuclear cooperation efforts across agencies and ramp up informal, non-binding talks with nations that might pursue nuclear energy technology. The goal is to expand the number of countries engaged in ongoing communication with U.S. government agencies, nuclear energy companies and researchers. The State Department will do this by signing nuclear cooperation memorandums of understanding with the countries……..
State’s focus is on teeing up sales of a new generation of nuclear technology expected to come online in the next five to 10 years, the official said.Those include small modular reactors that can be bolted together to form larger units, Terrapower’s traveling wave reactor backed by Bill Gates and microreactors meant to provide enough power for a few thousand homes. Altogether, there are about two dozen serious designs for advanced nuclear reactors trying to break into the market, said McGinnis. Under McGinnis and Secretary Rick Perry, one of the Energy Department’s top priorities is facilitating the development of these new technologies……. On Tuesday, NuScale Energy signed a memorandum to explore deploying its small modular reactors in Romania, after signing similar agreements with Canada and Jordan. The U.S. will still have to reach so-called 123 Agreements with foreign countries before American firms can sell nuclear reactors overseas. These agreements place limits on the use of nuclear technology and must be approved by Congress. Many of the expenses associated with constructing and operating a reactor do not change in linear proportion to the power generated. For instance, a 400 MW reactor requires less than twice the quantity of concrete and steel to construct as a 200 MW reactor, and it can be operated with fewer than twice as many people. In 1968, the same year Elk River shut down, the last of the AEC’s small reactors was connected to the grid: the 50 MW La Crosse boiling water reactor.19 That plant operated for 18 years; by the end, its electricity cost three times as much as that from the coal plant next door, according to a 2012 news account about the disposal of the plant’s spent fuel. Dealing with the irradiated uranium-thorium fuel proved difficult too. Eventually, the spent fuel was shipped to a reprocessing plant in southern Italy. Since then, not a single small reactor has been commissioned in the United States. Without exception, small reactors cost too much for the little electricity they produced, the result of both their low output and their poor performance. the technology remains in stasis or decline throughout the Americas and Europe. ….. The UK government has said that it will step in to pay for a European Union-funded nuclear-fusion laboratory near Oxford after 29 March, if European cash cannot be agreed in the next ten days. The Joint European Torus (JET) laboratory currently has only a short-term funding contract with the European Commission, which will run out on 28 March, the day before Britain is scheduled to leave the European Union. Until now, JET has received around 88% of its funding from EU sources, and the remainder from the United Kingdom. Negotiations with the EU to agree a new contract to fund the facility until the end of 2020 are ongoing, but have stalled in part because of uncertainty over Brexit. In a statement to Parliament on 13 March, UK Chancellor of the Exchequer Philip Hammond promised to front up to £60 million (US$80 million) to run the JET in 2019–20, should no new agreement be reached in time. US pursuing mini-nuclear reactors to support military expeditionary capabilities, Defence Connect, 20 Mar 19, The US military is conducting research into the development of rapidly deployable, container mounted nuclear reactors to support deployed American and allied forces, reducing threats to traditional supply and support convoys……. The US has initiated a series of programs to develop, test and deploy alternatives to traditional petrol-based fuel systems, particularly for power generation and small-scale manufacturing of key materials like munitions at forward operating bases operating in close proximity to peer-competitors, limiting supply line and convoy exposure to enemy interdiction. ….. Enter the development of very small modular nuclear reactors (vSMRs), designed to deliver between one and 10 megawatts (MW) for years without refuelling in a rapidly-deployable (road and/or air) package. Both the US Department of Defense and NASA have collaborated on the development of such reactors for use in military and space exploration contingencies. ………The HOLOS reactor in particular has been designed to support deployed military requirements……..